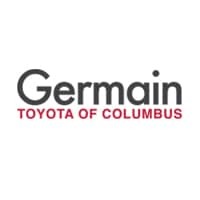 Germain Toyota of Columbus stands with the March of Dimes to fight for the health of all moms and babies by taking part in the March for Babies. On Sunday, April 29th, our team will take part in the March for Babies in Greater Columbus to help provide resources and programs to educate and empower moms so every baby can have the best possible start. Families in our community and across the country are touched by the fundraising we do, and we won’t stop until we reach our goal of building a better future for us all. By joining our effort to support the March of Dimes March for Babies, you help Germain Toyota of Columbus lead the fight for the health of all moms and babies. Together we can encourage more friends, family, and supporters to join us to raise critical funds to tackle the biggest health threats facing moms and babies. You raise money to expand programs and educate medical professionals to make sure that moms and babies get the best possible care. You advocate for policies that prioritize their health. You fund research to find solutions to the biggest health threats. And you support moms through every stage of the pregnancy journey, even when everything doesn’t go according to plan.